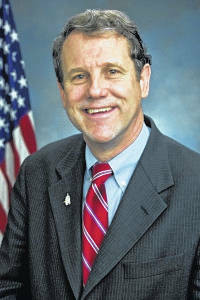 WASHINGTON, D.C. – U.S. Sen. Sherrod Brown (D-OH) welcomed news this week that the Trump Administration is taking steps to crackdown on China’s violation of intellectual property laws. Still, Brown said a long-term strategy is needed to reset our trade imbalance with China. Brown is urging the Administration to take additional steps under the China 301 case to reform the World Trade Organization and implement his bipartisan bill to screen foreign investments in the United States to ensure they support American jobs. Chinese investment in the United States tripled from 2015 to 2016 and jumped tenfold in the last five years. Brown’s bill with Republican Senator Chuck Grassley would review foreign investments in the United States to ensure they are in the long-term economic interests of the U.S. Earlier this month, President Trump answered Brown’s call to crackdown on unfair steel imports that have hurt the U.S. steel sector. · Require review of certain proposed foreign investments for their impact on the U.S. economy and jobs. The bill would require a review of any foreign investment that results in foreign control of any U.S. entity worth more than $1 billion, and a review of any transaction by a state-owned enterprise that would result in control of a U.S. entity worth more than $50 million. · Create a process to efficiently review investments. Within 15 days, the Secretary of Commerce must approve or prohibit the transaction or inform the parties to the transaction that additional time is needed to complete the review. If the Secretary requires an extended review of the investment, a decision to approve, prohibit, or require modification of the transaction is due within 45 days of receiving written notification. The Secretary has the option to request 15 additional days for the extended review, but all transactions are reviewed and acted on within 60 days of receiving written notification. · Give Congress the ability to request additional reviews. The bill also gives the Chair and Ranking Member of the Senate Finance Committee or House Ways and Means Committee the opportunity to request that the Secretary of Commerce review investments of any value. · Ensure a transparent review. Under the legislation, the Secretary of Commerce must make all decisions public and submit an annual report to Congress on results of transactions reviewed. It also calls for a 10-day public comment period for each investment subject to an extended review. In May, Brown proposed a plan President Trump should follow as he pursues a 100-Day Plan on trade with China, which outlined steps for a long-term strategy for trade with China. Immediately after President Trump’s election, Brown reached out to his transition team to offer his help in retooling U.S. trade policy. Brown wrote to Trump in November 2016 offering specific steps to work together on trade and Trump responded with a handwritten note. Since then, Brown has been engaging the President and top trade officials, including U.S. Trade Representative Robert Lighthizer and Commerce Secretary Wilbur Ross to fight for Ohio priorities. · Last month, Brown convened roundtable discussions with Ohio stakeholders in Toledo, Lima and Dayton to discuss NAFTA and ways to improve trade deals for Ohio. Brown met with manufacturers, businesses, workers, and community leaders to take their ideas back to Washington as negotiations on NAFTA continue. · Brown has also introduced legislation with Sen. Chuck Grassley (R-IA) to review foreign investments in the United States to ensure they are in the long-term economic interests of the U.S.